William follows the father with the passion for machines…. William is not very fond of the dogs I must be sad to say. Oscar my older son has always had a passion for the dogs since he was born. It´s very strange how different the kids are. On the other hand William loves the tractors and the machines. 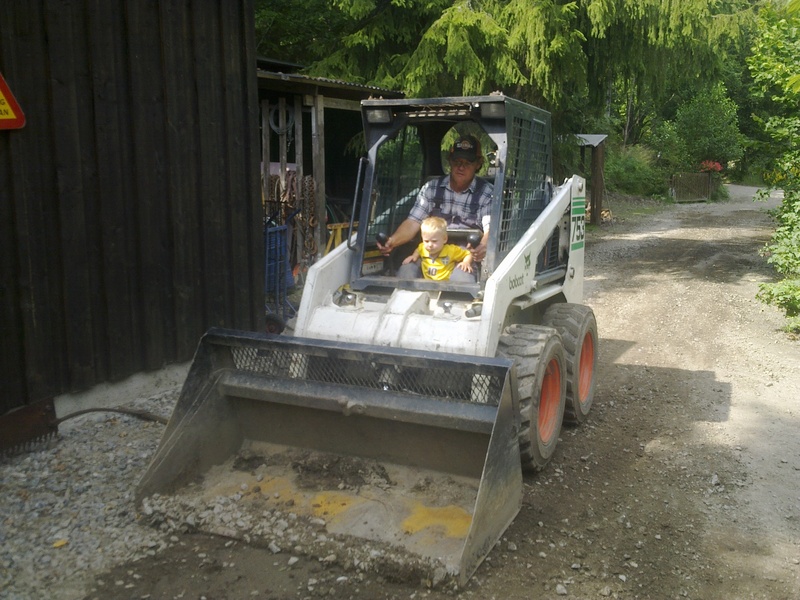 Here he is with our neighbour Danne and the Excavator! William loves to visit him and look at what he has. ← Subscribe does work now!! !